An inspiring memoir from the frontlines of history by the award-winning 60 Minutes correspondent.Don't ask the meaning of life. Life is asking, what's the meaning of you?With this provocative question, Truth Worth Telling introduces us to unforgettable people who discovered the meaning of their lives in the historic events of our times.A 60 Minutes correspondent and former anchor of the CBS Evening News, Scott Pelley writes as a witness to events that changed our world. In moving, detailed prose, he stands with firefighters at the collapsing World Trade Center on 9/11, advances with American troops in combat in Afghanistan and Iraq, and reveals private moments with presidents (and would-be presidents) he's known for decades. 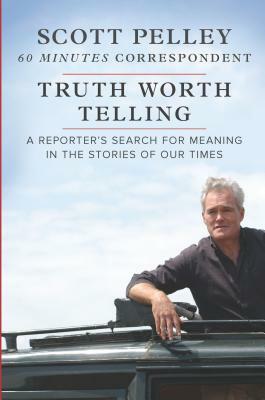 Pelley also offers a resounding defense of free speech and a free press as the rights that guarantee all others.Above all, Truth Worth Telling offers a collection of inspiring tales that reminds us of the importance of values in uncertain times. For readers who believe that values matter and that truth is worth telling, Pelley writes, "I have written this book for you.